Mulaka has lingered in my mind since it made a brief appearance in the Nindies Showcase Summer 2017. Where Clover Studio had created a world where players could explore Japanese myths, legends and folklore in Okami and Upper One Games had seen Never Alone (Kisima Ingitchuna) as a way to tell a traditional Iñupiat tale, Mexican developer Lienzo’s new action-adventure game presents a chance to learn more about the Tarahumara. Set across real-life landscapes in northern Mexico, the developer has dug deep to draw on every possible part of the indigenous people’s culture whether that be their language, music, or how they are renowned for their ability to effortlessly run long distances. You play as a powerful Sukurúame – a Tarahumara shaman – who, now that conflict and hatred have overwhelmed the world, must attempt to prevent its destruction. Your adventure starts in the barren lands of Samalayuca, which, while it acts as a tutorial, is arguably the dullest area in the whole game. It is a dream that first brings you to this place of pilgrimage, where you will learn how to perform quick and strong attacks to defeat your enemies, to leap over quicksand, and to use Sukurúame Vision to look for objects that are of interest in your local surroundings. There’s Aloe to gather that can be used to craft restorative Soul Potions, characters to talk to that will start to share more about the Tarahumara’s way of life, and three mythical stones to retrieve to earn the right, as a mortal, to speak with the demigods. Cho’mari is the first demigod that you meet, who explains that the lands are being corrupted by Terégori, the Lord of the Underworld. It falls to you to halt his malevolent plan, joining forces with the demigods before he can annihilate what’s left of our world. This sets your adventure in motion, as you leave the tutorial area and trek across the region to prove yourself to the other demigods to gain their blessings. Succeed in demonstrating that you are worthy, and they will reward you with transformations that will let you fly short distances as a woodpecker, maul rocks marked with red claw swipes as a bear, leap between branches as a puma, and freeze vines as a snake. These are not only required to progress in your continued efforts to thwart Terégori, but, for the completionists among you, will be needed when returning to earlier areas that you have passed through to grab collectibles that you will have missed. While the playable bulk of the game has been rendered with a colourful low-poly visual style, these main story beats have been handled with voiced cutscenes that are narrated in the Tarahumara’s indigenous language – accompanied with some phenomenally breathtaking artwork. I can say at this point that it is the art direction and gripping narrative that keep Mulaka’s experience bound together in authenticity, even if it falters in other areas. Challenged to fight back the foulness that is corrupting the land, it comes as somewhat of an irony that it is in combat that Mulaka suffers. You will regularly encounter mythical creatures pulled from the region’s mythology – the creepiest being the Seeló, which are ancient mantis warriors. While the enemy designs are wacky enough, engage in any battle encounter and the game can quickly descend into irritation. You primarily attack with your spear, relying on quick and strong strikes to deal damage along with the chance to hurl your weapon to hurt them from a distance. The developer has thrown more than enough interesting ideas into these situations, such as invisible enemies that can only be seen with your Sukurúame Vision, an enemy catalogue that lets you read up on the myths behind what you are fighting, or the three souls that you can lose before being met with the Game Over screen – a gameplay mechanic that relates to the Tarahumara belief that men have three souls (and women have four). However, these positives are soon outweighed when frustration creeps in. Whether that be from the frequent moments when you are ring-fenced in an area and forced to fight multiple enemy types at once – each with their own weaknesses to exploit – or being unable to lock on to an enemy to make sure that you aren’t waving your spear around like an idiot, more work was needed to balance this area of the game. Even spending Korima in the skill tree isn’t enough to swing things comfortably in your favour. 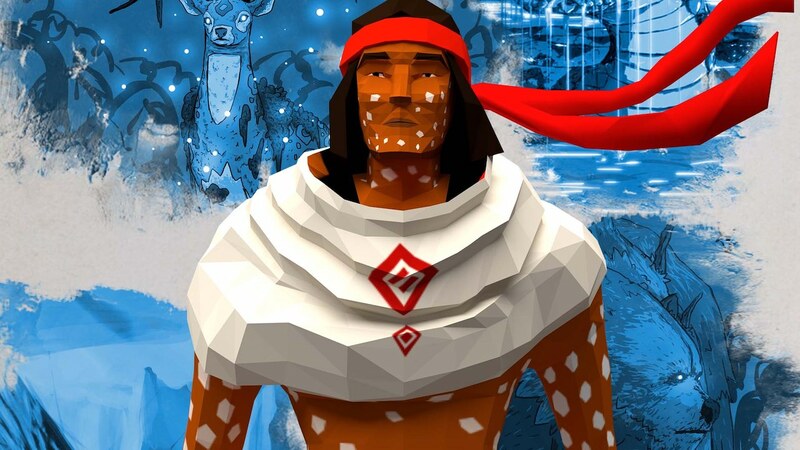 Mulaka’s strength as a game comes from the painstaking effort that has been made to sufficiently portray the culture of the Tarahumara people, and, as such, there is much joy to be found in exploring the sun-baked region and learning from those that inhabit it. Endure the opening tutorial area, and, once the game starts to open up, it’s easy to become lost in its world, even with the flaws that its combat system carries. That’s not problematic enough to derail the whole experience, especially for those that will see value in the chance to learn about another culture. 6 or 6.5/10, but I tend to be pretty heavy with my reviews.